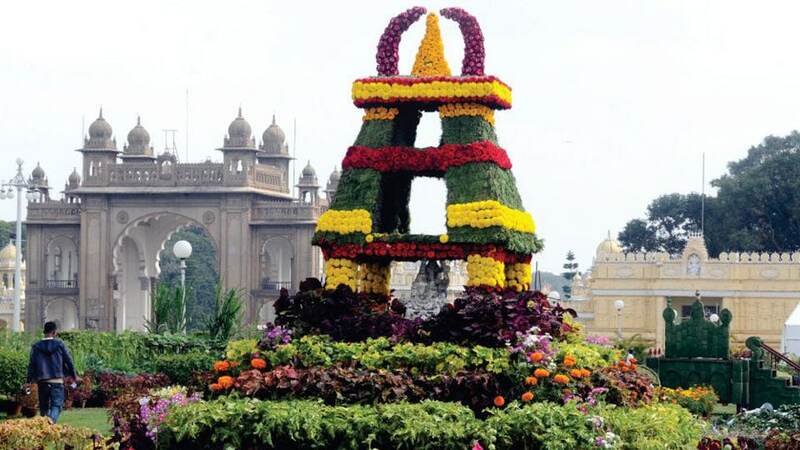 Mysuru: The Annual Flower Show organised by the Mysore Palace Board will be held in the last week of December like every year, said Mysore Palace Board Deputy Director T.S. Subramanya. In a press release, he said that there will also be a dolls exhibition and cultural programmes organised during the flower show. He further stated that those who are interested in participating in the dolls exhibition must submit the photographs, videos and related information to the Palace Board Office. The best ones will be selected and displayed. Last year, nearly three lakh people had visited the flower show and this year also more visitors are expected. In this background, a dolls exhibition is being planned. The teams and individuals that are selected will be honoured with suitable prizes, he said. Those who are interested in participating may contact the Mysore Palace Board Office inside the Palace premises before Dec.12 or they can call the Office on Ph: 0821-2421051 for more details, said Subramanya in the release. Those who have displayed dolls during the Dasara celebrations in their houses and who have photographs and videographs of the special dolls exhibition with other details will be provided an opportunity to display during the Flower Show, added Subramanya.